Nag Panchami or Nag Puja (Shukla Pachaya Panchami) . 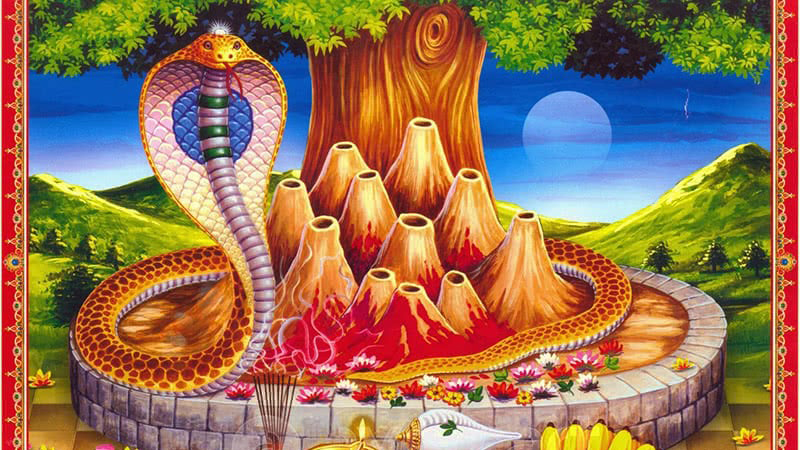 Early morning worship Nag Devta and also put the painting of Nag on the the main entrance of building and offer milk to snake. All local people believe that these serpent god protect us from the negative spiritual power when they will be happy. More than 3000 years ago, Manjushree was passing through the Chandragiri hill or the green mountain that lies on southern part of Kathmandu valley. On his way, he saw the ray of light on small hilltop. He decided to visit this site but that time Kathmandu valley was huge and deep lake named “Nagdaha“. Then he drains out all water by cutting Chobar hill. When he drained all out water that time, full of snake or Nag are living there. 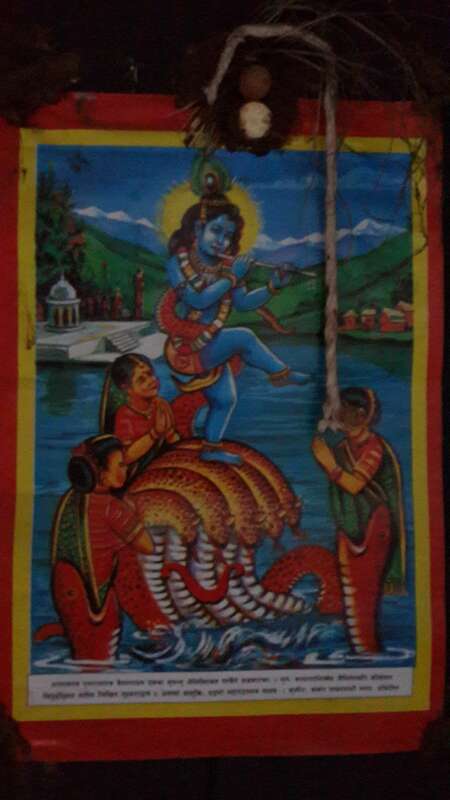 Manjushree pray to Nag Devta only he could come to visit Swayambhu. From that time, we have Nag Puja culture. Before any construction or any earthwork, we do Nag Puja to praise them.